The primary purpose of this Handbook is to provide a source of statistically based design values for commonly used metallic materials and joints. Additionally, other mechanical and physical properties needed for the design of aerospace structures are included. The material properties and joint data used to derive values published in this Handbook were obtained from tests conducted by material and fastener producers, government agencies, and members of the airframe industry. 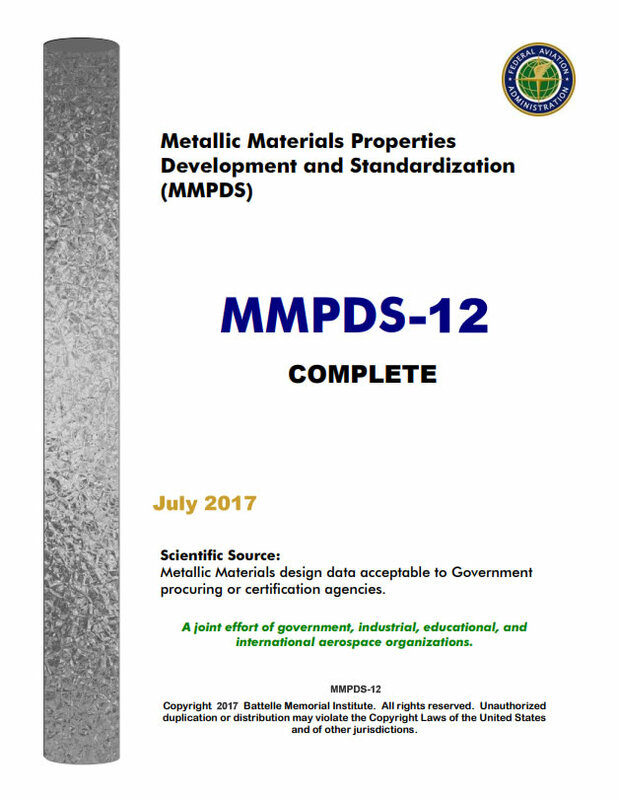 The data submitted to MMPDS are reviewed and analyzed per the methods detailed in this Handbook. Results of these analyses are submitted to the membership during coordination meetings and if determined to meet the set document standards they are published in this Handbook.